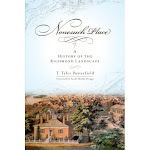 Construction of what was then the Richmond-Petersburg Turnpike (today’s I-95) so thoroughly obliterated the neighborhood of Navy Hill that the very topography on which it once stood is gone. The City of Richmond turned Fulton, an area that was once populated as densely as the Fan, into a vacant urban prairie with a grid of abandoned city streets. 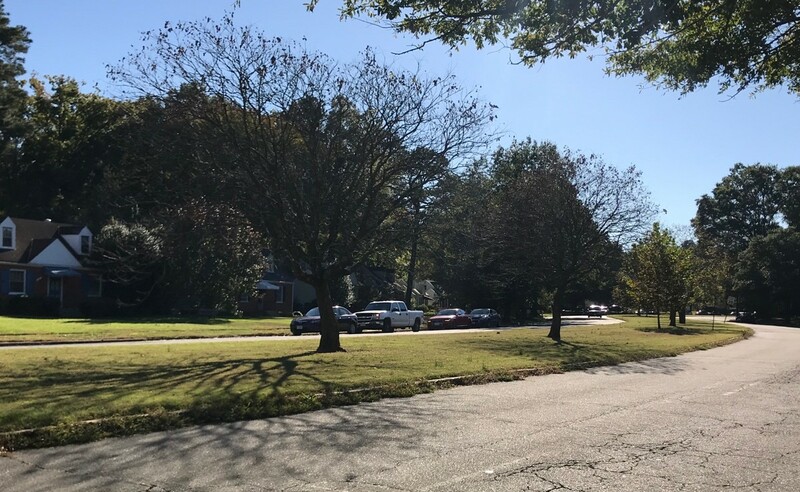 As bad and malicious as these two instances were, neither was as fueled by the degree of overt racism that faced the residents of a small neighborhood on Patterson Avenue called Westwood. Their triumph and persistence in the face of overwhelming odds is a chapter in the struggle for Civil Rights that should be told. showing “Westwood / Westhampton” straddling Patterson Avenue. Established by newly-freed blacks after the Civil War, Westwood developed around its little church in a classic village pattern. Westwood had its own store and school and, while older residents recalled going “into town” on special occasions, the community was, for the most part, self-sufficient. The village had its own school, stores, and church. Baptisms were performed in in Jordan’s Branch, a stream whose name echoes that that of the biblical Jordan River. 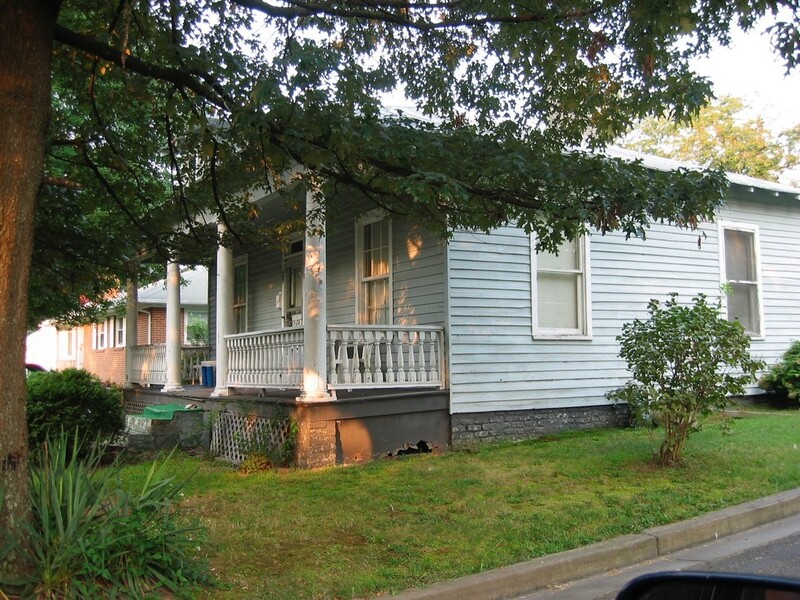 Westwood residents often had a hard time convincing anybody, black or white, that there were African Americans living out in Henrico County on Patterson Avenue, but their unique self-sufficiency came to an end when the neighborhood was annexed into the City in 1942. Jordan’s Branch, a major stream which once formed the eastern boundary of Westwood, is today in a giant culvert under the median of Willow Lawn Drive. Beside the village church, the now-demolished Westwood School at 5407 Leonard Street was another center of the community. In its final year the little school had 41 students before being closed by the City in 1948. Instead of going to Westhampton School (literally a block away), the black students of Westwood were bused to Carver School, six miles away. This fact of life in segregated Richmond only added another layer of repression and resentment which lay heavily on the citizens of Westwood, and particularly those ex-GIs who had served in World War II. The wells in the area that served Westwood since its inception were all condemned. 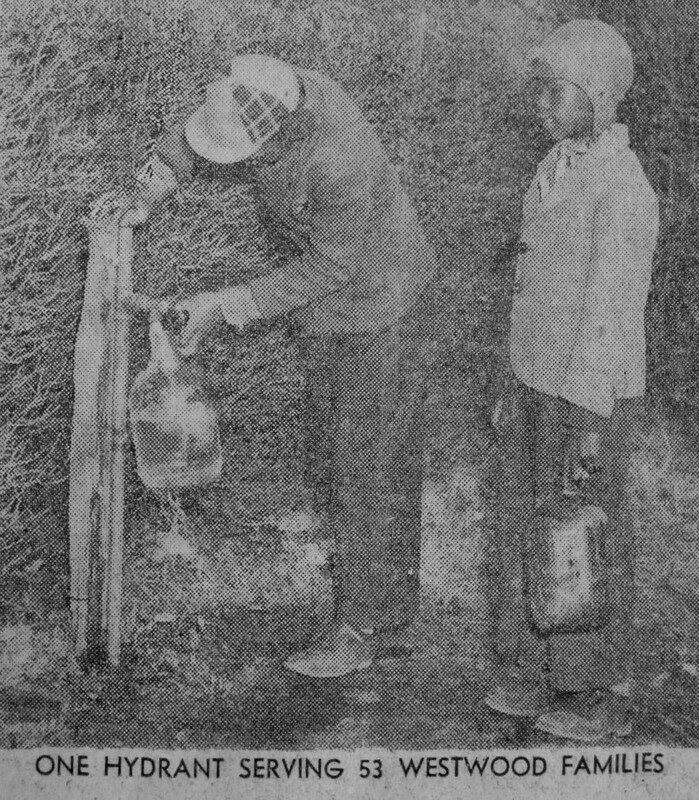 By 1945, the entire population of 200 people all had to draw their water from a single “hydrant,” which consisted of a simple faucet mounted on a short pole at the corner of Patterson and Willow Lawn Drive. There was no plan to run water or sewer lines to Westwood despite the increase in taxes that came with being incorporated into the city – the same taxes that provided a full range of City services to everyone else. 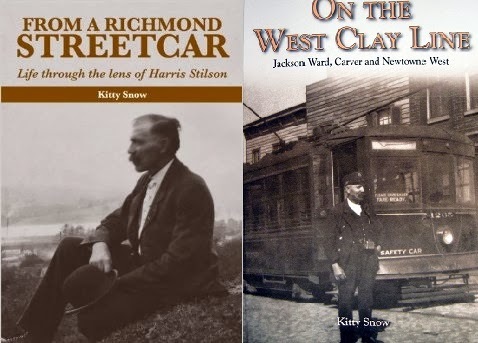 Simultaneously, the increasing number of wealthy white subdivisions along nearby Cary Street and Grove Avenue were putting political pressure to “do something” about the African American island in their midst. It all began when the City claimed the Westwood could be a health menace. Typhoid could spread because of the lack of modern facilities in Westwood was the claim, and at the same time the Board of Aldermen refused to fund water and sewer in the neighborhood. They feared providing proper City services would only encourage more houses and that the population would become even larger. This bureaucratic circular logic must have been maddening to the besieged residents of the tiny community, but an even greater threat was emerging against them of an even more nakedly racist attack. Although the Richmond Master Plan did not identify a need for such a facility in that area, in 1945 it was proposed that the homes of Westwood would be demolished, and the area turned into a City park. There was a provision that Westwood residents would be given the opportunity to “live their lives out, but their children would have to move after their parents died.” Organized by the minister of Westwood Baptist Church at the time, Reverend Waller, residents turned out in droves to appear at City Hall and let their outrage be known. An example of one of the older homes in Westwood. The white subdivisions in the area such as the Colonial Place Association, the Monument Avenue Crest Association, and Hampton Gardens Civic Association all sent representatives who spoke in favor of razing Westwood, saying getting the blacks out would result in “the greatest good for the greatest numbers.” An especially condescending and cruel twist in the plan assured Westwood Baptist Church would stand as long as it was used by its parishioners, and then demolished. 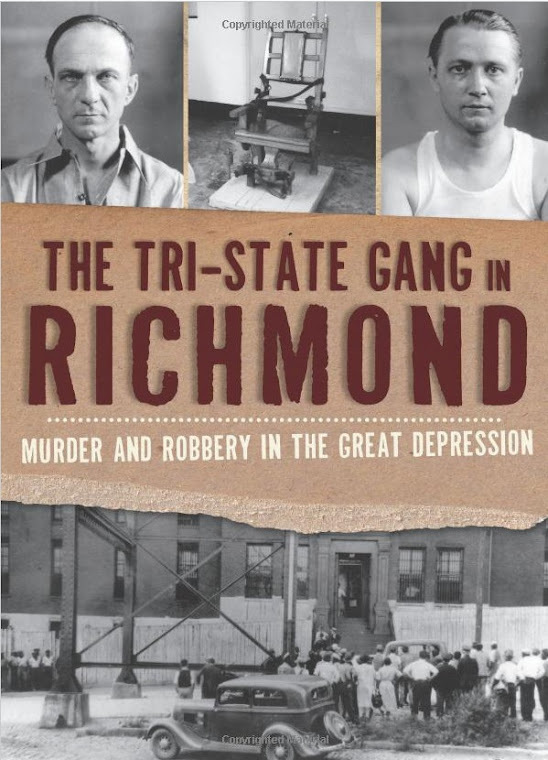 If the plan to destroy Westwood took place, “Richmond would be denounced from coast to coast as a place which does not know the meaning of justice,” wrote the Richmond Times-Dispatch. 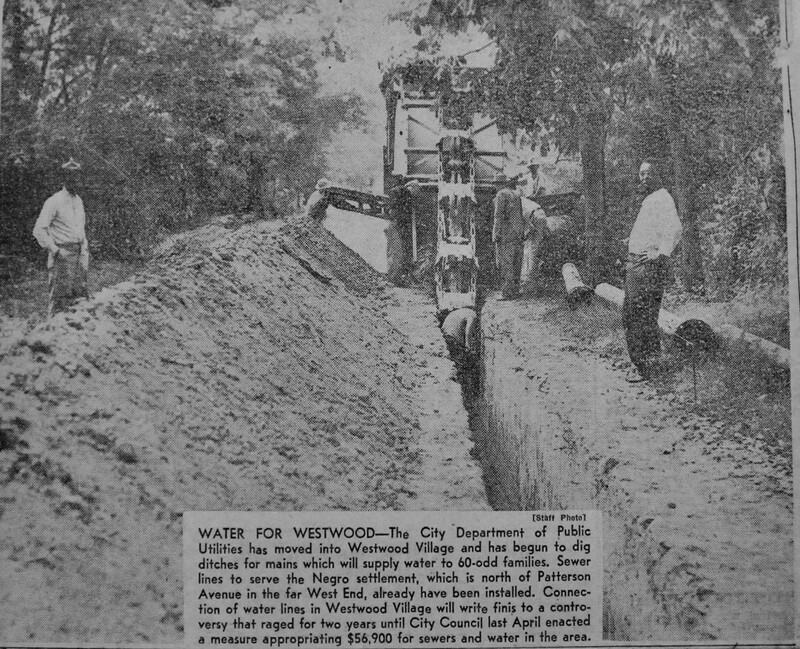 Because of the organized reaction of Westwood residents, aided by a small number of fair-minded whites, and the surprising support of Richmond editorial pages, the park idea was rejected every time it came up although by 1947, the issue of sewer and water for Westwood had still not been resolved. The issue in the Westwood matter remains just what it was before some 200 citizens met in Westhampton High School on Friday night to discuss its pros and cons. That issue is whether Richmond’s people, and their representatives in Council, are going to provide water and sewerage for 65 hard-working, law-abiding families who pay city taxes and are entitled to these facilities, or whether those citizens are to be denied such facilities because they are colored…Everybody knows, of course, that the “park” which is being advocated for the area has been held by the City Planning Commission to be unnecessary and undesirable. The City of Richmond relents and installs water and sewer in Westwood, September 1947. The City of Richmond finally announced that water and sewer lines would be extended into Westwood. Alderman Frank S. Richeson, sponsor of the legislation that would have destroyed Westwood, sneered the residents “would feel they had been imposed upon when they learned the cost of connecting with the utilities,” and that he had talked to a plumbing contractor who told him it would cost up to $500 for each house. 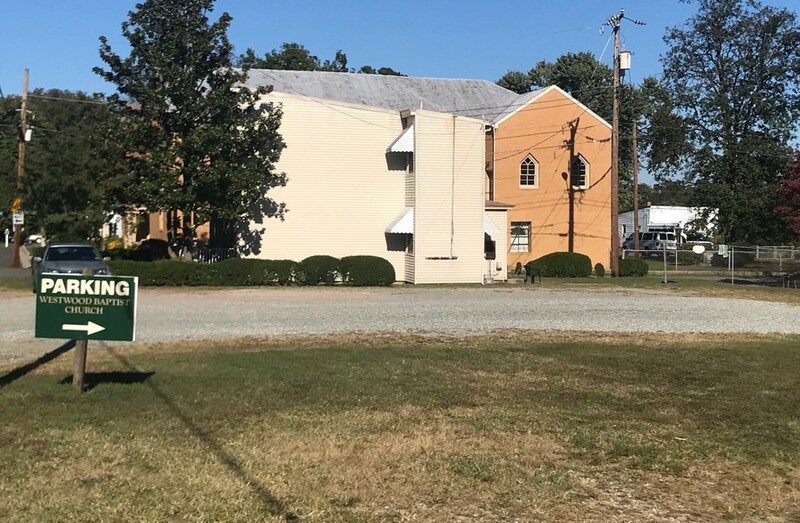 In contrast, Westwood Baptist’s Reverend Waller announced that the church itself would finance any resident’s connection fees, which he said would be around $100. One of the older houses in Westwood at the corner of Parish and Marian (now demolished). Less dramatic than the defense of the neighborhood but equally important is the loss of a large amount of the housing stock of Westwood in recent years. Small bungalows along Patterson Avenue have been mostly replaced by an office complex, and the U.S. Post Office’s Westhampton Station claimed a large part of Westwood. Most disturbing of all, the church itself has converted some former residential lots to surface parking to accommodate parishioners who no longer live in the community. In a pattern often seen in urban churches, Westwood Baptist Church is ironically destroying the buildings that were the homes of the church’s first faithful and is sacrificing the very fabric of the community to automobile culture. A parking lot created from former residential lots in Westwood. In contrast to this tepid retelling of that period, Westwood should celebrate their resistance and survival. Instead of a featureless city intersection, there should be a Historical Marker where that faucet on a post once stood at Willow Lawn Drive and Patterson Avenue to forever mark where citizens drew together and fought a malevolent city bureaucracy – and won. 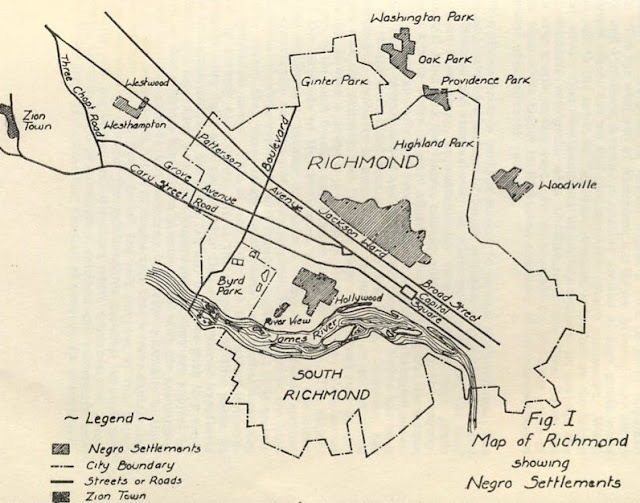 We need to remember this was no easy task in the bitterly segregated world of Richmond in the 1940s and 1950s. We need to recall that the little crooked streets and tidy bungalows of Westwood truly represent a forgotten battleground in the story of the struggle for Civil Rights in America. Thank you so much for this article. I'm so afraid that the history of my neighborhood will soon be lost forever. My church doesn't seem to recognize the value of this story in it's own history. Having been born there in 1954, I so cherish the stories my Mom tells about the neighborhood, during her childhood there. I pray that we never forget Westwood's incredible place in Richmond's story.I too hope that some kind of placard, momument can be placed at the corner of Willow Lawn and Patterson . I actually submitted that idea to Dwight Jones, ex Mayor and ex pastor of the Westwood Baptist Church, but to no avail. I don't understand why this is not an immediate concern. My neighborhood is changing fast. I've also noticed at the corner of Libbie and Monument, a Westwood sign has been put up across from St.Mary's Hospital declaring that community as Westwood. No one's checked them on it! Mr. Hopkins: As I noted about the issue of the name of Westwood on page 141 in "Built By Blacks,"
The perpetually vigilant Westwood community was powerless to defend itself against a unique affront: the theft of its name....Typical of the times, the African American community on Patterson Avenue was ignored and considered in the 1930s a lesser entity, filled with people of a lesser value. Richmond now has two neighborhoods called "Westwood," but only the African American neighborhood can rightly and historically be called by that name. 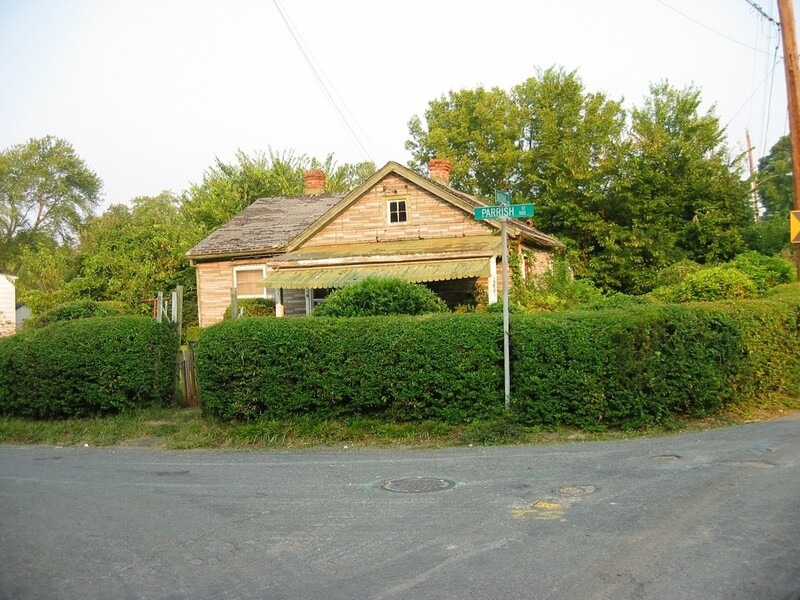 I was contacted as recently as late February 2019 by an individual who was seeking support for a Virginia Historical Marker for Westwood that would relate the area's struggles as outlined in my little piece above. Hopefully such a marker will appear soon and will forever explain the fight for Civil Rights that took place in Westwood, before it is forgotten. I am sorry to hear that Westwood Baptist seems to have no interest in its history, which is so interwoven with that of the surrounding neighborhood. I must say that every contact with the church has been far less than friendly, let alone interested in what I had to say.